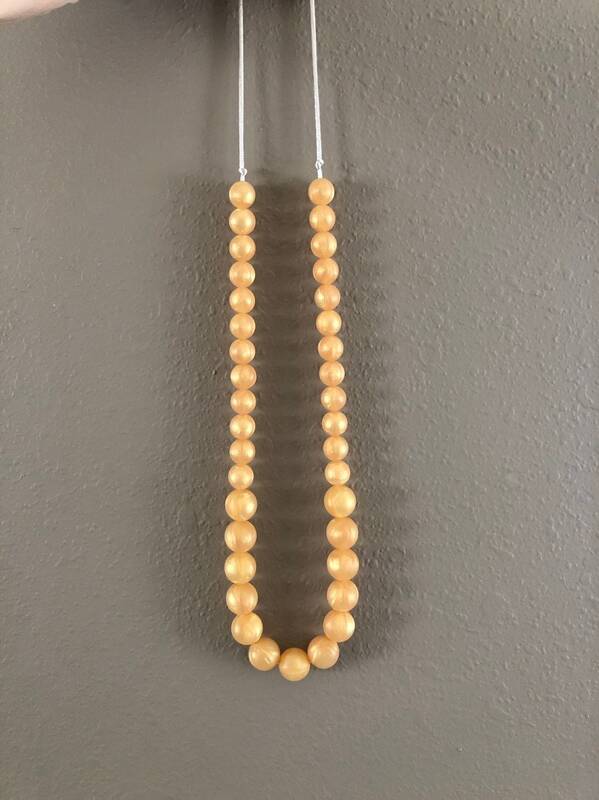 This beautiful pearlized beaded necklace is made up of honey colored beads! Made with non-toxic silicone beads, knots at the end and breakaway clasps for safety. The cord is made of a safe strong satin.